I am very pleased to welcome Flora and Ceres to the 1st August Market. Flora & Ceres was founded in 2004 by Andrea Beaumont. Inspired by the Gods’ desire for purity, grace and quality. A range of functional, beautiful products. Ceres was the Goddess of agriculture and productivity. Nurturing, serene and strong, she watched over ancient lands. Often in her company was Flora, Goddess of Flowers. Captivating, spirited and free, Flora inspired the renewal of each season. Based in the provincial township of Ceres(just down the road from me) in the Barrabool Hills of Victoria, Flora & Ceres is committed to timeless, quality products that represent the decorative expression of Flora and the functional simplicity of Ceres. Flora & Ceres products are inspired by classic and European designs. 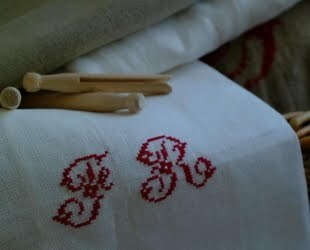 Natural textiles and quality workmanship are hallmarks of the range. There is a mix of new and vintage products.